To create light fixtures from kitchen items, unless you wish to hire a professional lighting designer, first you will need to become familiar with wiring light sockets and plugs. Choose wire and sockets that are designed specifically for indoor or outdoor use, depending on where you plan on hanging the fixture, and test the light only after the wires are securely installed to prevent accidents. 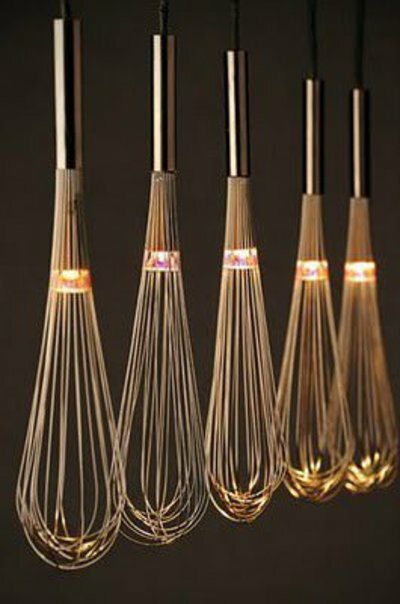 After learning the basics of wiring a lamp, you can use the skills to turn nearly any kitchen item into a fun light fixture. It is usually best to begin with something that allows you to easily run the wire through the piece without cutting or making holes. 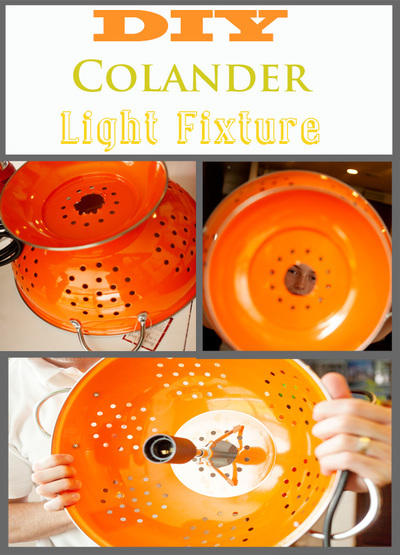 For instance, a tea cup is a little more difficult to discreetly wire than a colander or canning jar. Another option is to make the fixture from plastic utensils, which can be easily cut to form an opening for the light socket. If you do have to cut the piece, use the appropriate tool based on the material you are working with. To make a fixture from old silverware or flatware, begin by finding an old lamp shade, or make a circle in the desired size using rigid wire. Drill a hole in the end of each knife, fork or spoon, and tie the flatware around the perimeter of the lampshade or circle. Install a light socket in the center of the lamp shade or circle to complete the fixture. You can hang the fixture indoors for a whimsical display, or hang the fixture outdoors to create a wind chime-like fixture for the porch or other outdoor living space. Canning jars are an all-purpose staple in most homes, and the jars can easily turn into light fixtures with just a little effort. To make a canning jar light fixture, cut a hole in the center of the jar lid, and insert the wire through the hole. Wire the socket to the bottom of the lid, and secure the socket in place. Twist the light bulb into place, set the lid on the jar, and tighten the ring to secure the lid. 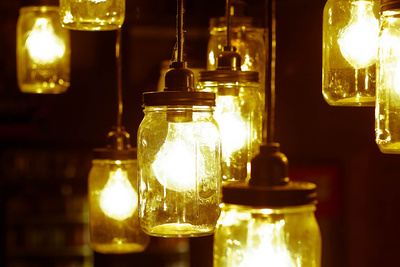 Hang the jar with others to make a cluster of lights in a dim corner of the home, or hang one jar anywhere you need a night light.